Quality Kansas City area businesses listed in our directory! Restaurants, golfing, fun destinations, retail stores, shops, services from Overland Park, KS to Kansas City, MO (automotive, home, health, legal financial, business-to-business, real estate) & great travel destinations (Bed & Breakfasts in Colorado). We deliver a simple way to save money on a great and ever-growing variety of activites, dining, shopping, products and services to Kansas City consumers with convenience and respect! No card cost and no member registration is required for cardholders! A popular weekly eNewsletter for Cardholders telling about our new business members - subscribe to "Good Morning Kansas City!" by clicking here. 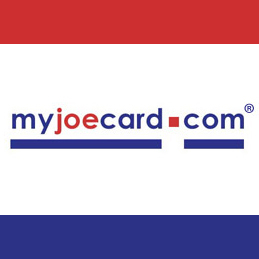 MyJoeCard.Com - Our Directory listing the finest in restaurants, retail shops, products and service providers. THE place to advertise your business products and services to Kansas City. The Fundraising Center for MyJoeCard opens in 2006 school year featuring our ‘Purpose-Driven Fundraiser’™ which provides unequalled fundraising opportunities for our local schools and community groups in the Greater Kansas City Metro area.